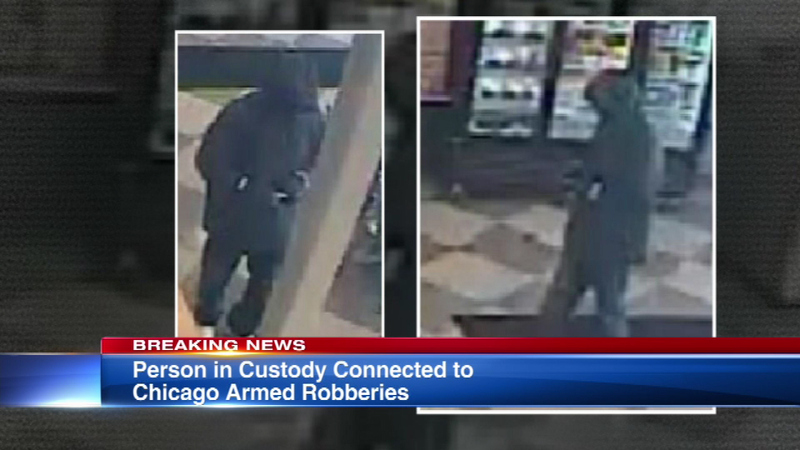 CHICAGO (WLS) -- A suspect is in custody in connection with a series of armed robberies in the Chicago area, Chicago police said. The suspect is believed to be responsible for robbing several small businesses in the city and western suburbs while armed with a knife, police said. Police have not yet filed charges.